The word “emergency” immediately paints a picture of something threatening or alarming in a certain situation, which should be addressed with a sense of urgency. This goes out similarly to dental emergencies wherein the common patients would be children. Because of their high energy and constant activity, emergency related to their teeth is always a possibility. As a parent, you must have the presence of mind and should remain calm in handling the unexpected event. 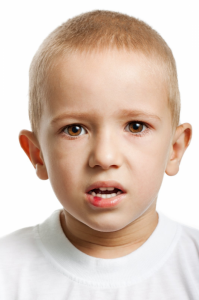 Dealing with children’s dental emergencies requires knowledge in resolving the situation. Here are some emergencies your children might encounter at home or anywhere else. The following steps can be done through adult supervision and are helpful to relieve your child’s suffering. Rinse your child’s mouth thoroughly with plain warm water or salted water. You may floss your child’s tooth to remove any particle, which might worsen the pain. Then put a cold compress outside the cheek where the affected area is located. Rinse the injured area with warm water. Put a cold compress on the part of the face where the injury lies. If possible, gather the broken tooth fragments. See a dentist right away. Using water, clean the tooth if it’s dirty and be sure that you hold the crownand not the root. Don’t detach any tissue fragments that are connected to the tooth. Soak the tooth in saline or milk to preserve it. The tooth can be reinserted within an hour of dropping; therefore, you must rush your child to the dental clinic before it’s too late. Using a pencil eraser, you can move the offending wire into place. Do this slowly and carefully for you might break the wire. Then it’s time to go to your dentist immediately. Don’t forget to cover the edges with cotton, gauze, or chewing gum on the way to the clinic. Apply pressure within the affected area using a folded clean cloth or gauze for around 15 minutes to stop the bleeding. In this period, let your child sit still. If the bleeding stays after 15 minutes, then execute the same step again. If the bleeding continues persistently, rush your child to the dentist directly. Dental emergencies are inevitable among kids. That is why ensuring optimum dental care for them is very vital. If you can’t perform first aids during the dental emergency, then you must seek a professional treatment from your reliable Brisbane dentist immediately. Through the application of advanced skills in dentistry and use of state-of-the-art equipment, Precision Dental helps you and your child to get over dental emergencies. Learn more about coping with dental emergencies and improve the quality of your child’s oral health. We are located in the Fortitude Valley and serve patients from Newstead, New Farm, Teneriffe, Bowen Hills and from all Brisbane metro areas. © 2019 Precision Dental. All Rights Reserved.